Summer (Sam) Westin is a wildlife biologist and she recently helped rehabilitate a family of cougars and helped release them into the wild in a Utah National Park. Today she is back to do a follow-up report for a wildlife group. As she starts up the trail of the park where she worked as a Ranger for awhile she comes across a little lost boy. After she returns him safely to his father she is back on the trail hoping to get some pictures of her large feline friends. Then she learns via her radio that a child has gone missing and he matches the description of the little boy she had been with earlier. Maybe that man wasn’t his father. Sam feels it’s all her fault and has to help find the boy. The media is going a whole different direction and is reporting the child was taken by a cougar, bringing panic and everyone with a shotgun out of the woodwork to kill the cougars. 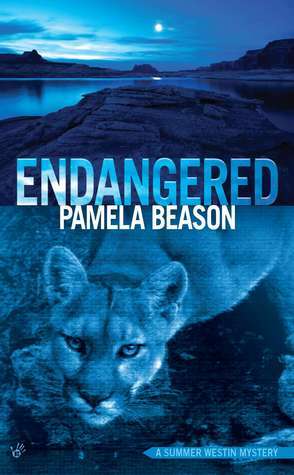 Sam knows it is highly unlikely that a cougar had anything to do with the missing boy and when FBI Special Agent Chase Perez joins the search she does everything she can to convince him humans are behind the disappearance. The authorities are planning to bring in snipers to kill the cougars so for Sam to save the boy and her precious animals she has to work fast to get at the truth, even if it means canvasing the entire park and going into some of the most dangerous places. 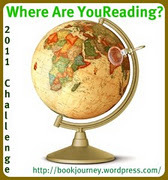 This book really surprised me by grabbing me right away and holding on tight. Big cats are my favorite wild animal. They always look so regal and majestic sitting high up on the rocks. I have never seen one up close though except at the zoo. I wanted to be in Sam Westin’s shoes as she got oh so close to these wonderful animals. But it was more than that that kept me reading, the plot twists were amazing, and as more and more clues were gathered the story that evolved was simply spectacular. I have never been to a park in Utah but the author painted such beautiful pictures with her words that I felt like I was right there. The park is also more than just a setting for this story, it is a character, a character that reacts to not only changes in weather but changes of its inhabitants. A trail can be one way one day and totally different the next. The vastness of caves, nooks and crannies make it the perfect spot for a mystery. This is my first experience with this author but she left us wanting more and a perfect foundation for the series to continue. I am anxious to see the next installment. We are given just a little snippet at the end of this book that is so unfair because I really hate waiting, but it seems bears will be involved. I just read about this book this morning and put it on my wish list. The description of the book hooked me. Love the cover! I think I’d enjoy the book, thanks to your review! Google just alerted me to this review. What a pleasant surprise! I’m so glad you enjoyed my book, Dollycas. Daddy’s Home by A.K. Alexander Cozy Wednesday with Crops and Robbers Giveaway!